Recently, I wrote in this blog, visiting Valparaíso feels like heading home to California but, recent days have shown, that’s not always a good thing. In October 1991, returning from a weekend hiking in the Sierra Nevada, I arrived in the East Bay to the sight of smoke and flames from what became known as the Oakland firestorm, which killed 25 people and destroyed nearly 4,000 homes. Something similar happened in Chile over the weekend, and it deserves some explanation for its similarities and differences with California. Starting Saturday afternoon, a major conflagration began in the hills behind Valparaíso (in the distance in this 2012 photograph) and has spread to claim a dozen lives and some 2,000 dwellings. The president of Chile’s firefighters has already called it “the largest and most serious in all of the Chilean history,” and it hasn’t yet died down completely. Valparaíso, like coastal California, owes its vulnerability to geography but also to history and culture. With a comparable Mediterranean climate of wet winters and dry summers, Chile is also susceptible to wildfires in early autumn, when the hillsides are dry after months without rain. I’ve not yet read an explanation of precisely how the fire began, but it appears to have begun in the zone where precarious housing is infringing on woodlands on the city’s margins. As the fire spread to wooden houses, it’s worsened as it reaches the gas cylinders that most residents use for heating and cooking (Valpo does not have an integrated natural gas distribution system, so most people get their gas by regular deliveries). The cylinders explode, destroying houses and spreading the flames. In Oakland, too, the fire started in areas where houses have invaded the woodlands, but in this case it was sociologically inverse – unlike in Valpo, many of Oakland’s wealthiest residents had built their houses in areas surrounded by eucalyptus and other fire-prone species. Fast-growing eucalyptus, native to Australia, is a plague in both California and Chile because it reproduces rapidly and leaves litter that can quickly turn the trees themselves into torches. California and Chile also share the problem of rugged terrain and narrow winding streets that make it difficult for firefighters to reach the affected areas. In Chile, the coastal range is even steeper than it is in California. Since the 1991 firestorm, newly built houses in the Oakland Hills must conform to fire codes that require a certain clearance from vegetation and prohibit wood-shingled roofs, which are certainly a move in the right direction. 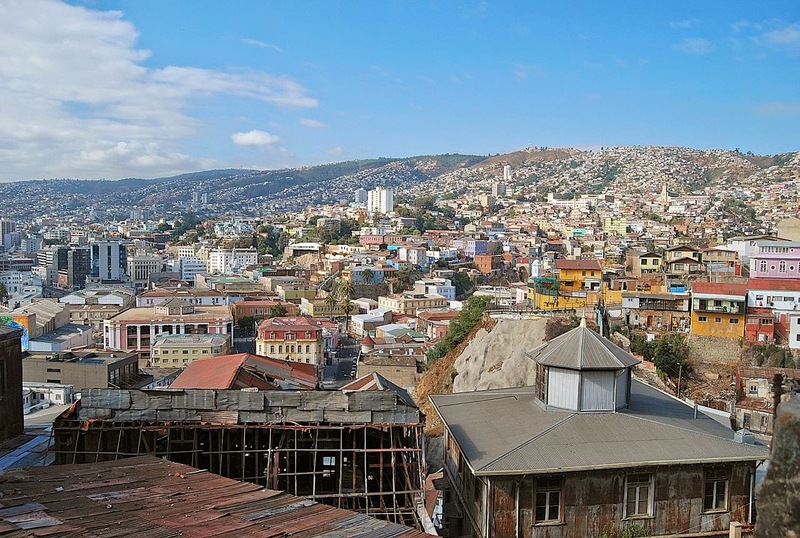 On Valparaíso’s hilly outskirts, though, there’s been virtually no control over the informal, spontaneous construction of dwellings that are potential firetraps and, at best, kindling for big blazes. In Chile, there’s an additional problem – except for the brigades employed by the national forest service Conaf, there are no professional firefighters. Though there is a national firefighters’ organization in Bomberos de Chile, even Santiago - a city of more than five million - relies on volunteer firefighters of varying abilities. 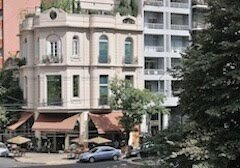 Over the past several decades, I’ve visited many Chilean fire stations, which are notable because they traditionally have very good restaurants. I am not being sarcastic about that, but I would suggest that, if Chile can have a professional police force in its Carabineros, it’s also capable of training and supporting professional firefighters except in the smallest localities. 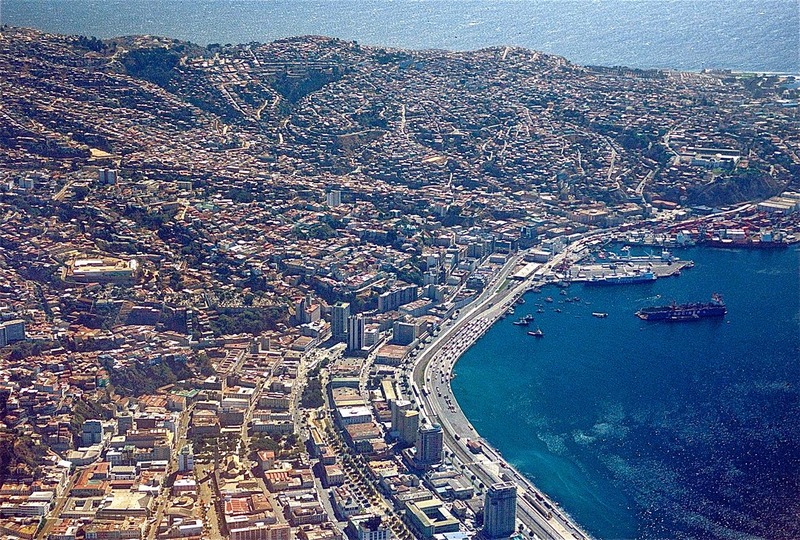 On the bright side, the Valparaíso fire has not affected the city’s historic core, which is a UNESCO World Heritage site (pictured in the aerial photograph above). Until the flames are out, though, and displaced residents relocated – it’s hard to imagine an immediate rebuild - the situation will disrupt the tourist trade, an important contributor to the local economy. Silly Symbolism? Argentina's New Banknote et al.